Tennessee Residential Development Project Uses CFS Over Wood For "Sustainable Structure"
LIG Assets, Inc. announced that they are moving to the next phase of the “Bella Serra” Brentwood, Tennessee residential development project with permitting application to Nashville’s Metro Davidson County. The completed site plan to return significant projected gains of $52,470,000 Gross Sales – far exceeding the Company’s original project goals. Bella Serra is a concept development using sustainable building products and will be Nashville’s first fully sustainable community. A new approach to residential build application using light gauge cold-formed steel framing versus wood framing with high quality magnesium oxide panels where the combination creates a sustainable structure resistant to 185 mph winds, water and mold resistant, fire resistant to 3500 degrees with a burn rate of 5 hours before the material begins to breakdown. Phase One of the project will include 90 residential units total with 10 Luxury single family homes and 80 multi-family “Lifestyle Condos”. 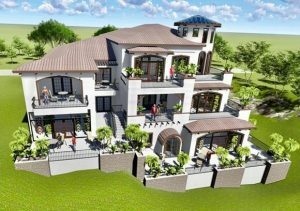 Bella Serra is a Luxury Mediterranean hillside resort development offering the variety of custom single family homes and the simplistic lifestyle living of condominium villas for the most discerning buyers of luxury living at its finest. The most unique feature of these homes will be the green sustainability factor built with consideration of the environment in mind. A high quality luxury resort lifestyle community with wellness in mind while reducing carbon emissions and energy consumption to improve our quality of life.